You map out a route, you travel there, you prep for the elements, all to go far, explore and thrive in your endurance. Or you prep your gym bag in the morning to log some miles on the treadmill and halfway through you waste the whole time worrying about pain and cutting the whole workout short. Nothing, for me, ruins a supremely euphoric outdoor run like a bad shoe that cuts the whole plan short midway. In these elements it’s about form, function, style (always) and getting the same energy return from your shoe that you give yourself and the land. The last thing I want is to be worried about my feet instead of taking in the terrain. Nike is leading the way in innovation here with their Epic React shoe and I had the opportunity to test out the technology myself this past weekend! 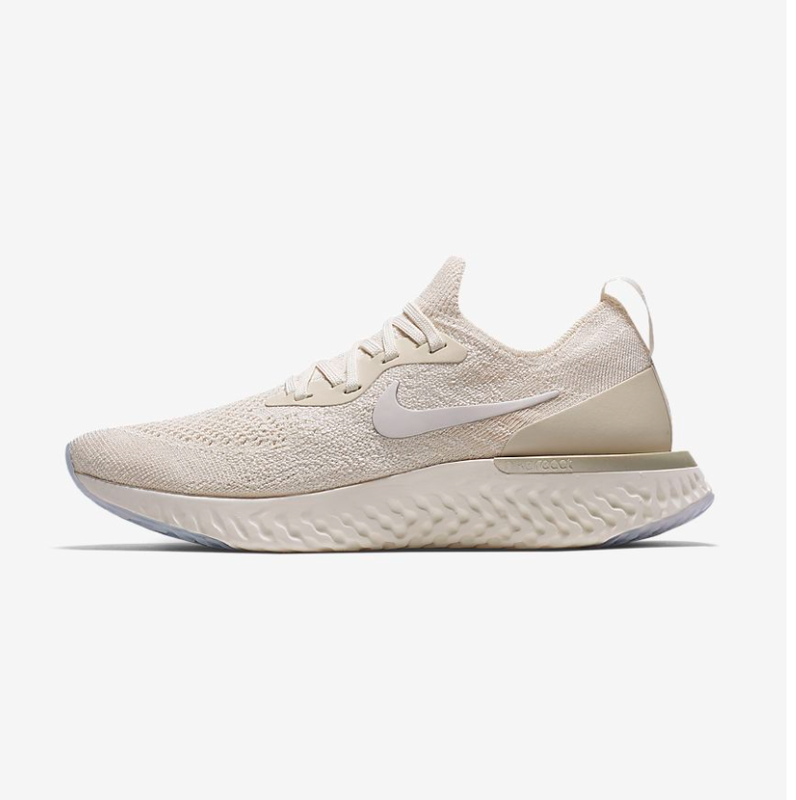 If you’re into shoe specs and statistics this shoe is designed to be 11% softer, 10% more energy return, 5 % lighter and lasts 600 more miles compared to their Lunar, for instance. So from a perspective of wanting to go farther this shoe sets you up to win. The React is like a hug for the feet. I prefer a shoe that fits and conforms softly to my foot so I don’t need to wear socks. I threw this pair into my overnight bag for a Santa Fe weekend getaway and it took up only ounces of weight in the bag. It’s also sleek enough to wear around town. I went for this colorway knowing I would be in Santa Fe. How good is the blue contrasted with the adobe clay color! It’s a really good neutral but they have a whole offering of new summery colors out as well. Part of being in southwest Colorado is the access to endless miles of land to explore. Most of the good spots are only accessible by foot. I’m game for that! I took the React to the Matrimonial Trail in Abiquiu, which starts right at Ghost Ranch. The trail is really carved out well and remains flat even with slight elevation gain. It’s like running through a Georgia O’Keeffe painting. For me I really wanted something light and cushiony to travel with and to have a springy step rather than a heavy, weighted hiking shoe. The React was epic here and I was able to jog and stop at points for some Hiit style movements and training. I put these through all kinds of elements and they bounced and cushioned comfortably along with my feet. Highly recommend the Epic React and also I LOVED this cowl neck Dri-fit pullover. It cinches in the waist and just has this beautiful architectural silhouette to it. It’s getting in the 40s at night here so I’m obsessed with the high collar! Let me know if you try this shoe and what you think so we can geek out on activewear tech together!